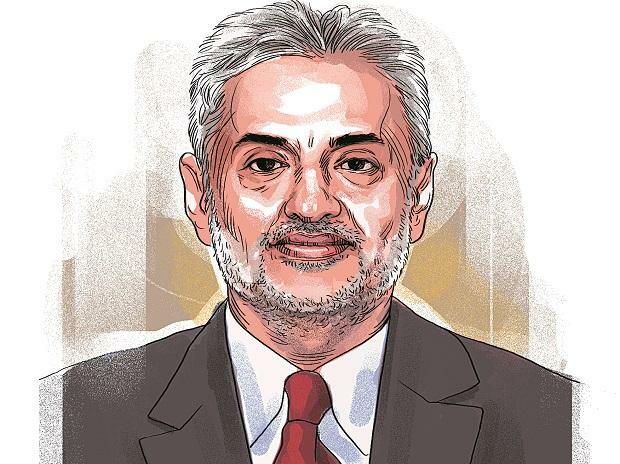 The Delhi High Court Tuesday sought response of an NGO on a plea by CBI seeking custodial interrogation of its former president Deepak Talwar in a case related to alleged violation of foreign funding law, FCRA. Talwar, an alleged lobbyist, is in judicial custody in a money laundering case lodged by the Enforcement Directorate (ED) following his deportation from Dubai on January 30. A bench of Justice Siddharth Mridul and Anu Malhotra sought response of NGO, Advantages India Private Ltd, with which Talwar was earlier associated as its president, and its secretary Manish Garg on the CBI's application. A case was lodged in 2017 against the NGO, Talwar and others for the alleged offences of criminal conspiracy, forgery and using forged document as genuine under the IPC and various sections of the FCRA (Foreign Contribution Regulation Act) for allegedly diverting Rs 90.72 crore worth of foreign funds meant for ambulances and other articles received by his NGO from Europe's leading missile manufacturing company. CBI contended in the court that the NGO had received foreign contribution of Rs 90.72 crore during the financial years 2012-13 and 2015-16 and an interest of Rs 6.69 crore on it. CBI's counsel Rajdipa Behura told the court that Talwar's custodial interrogation was required to confront him with documents, unearth the conspiracy and to ascertain the actual beneficiary of the funds received by the NGO. The agency said the investigation had revealed that the foreign contribution received by the NGO was "misused" and diverted for some other purpose. During the hearing, the court was informed that in 2017, the high court had asked the CBI not to take any coercive action against Talwar and his NGO in the case, making it clear that the protection would be available only if they continue to cooperate with the agency's investigation. The CBI's plea for Talwar's custodial interrogation was opposed by the NGO's advocate Tanveer Ahmed Mir who said if the agency wanted to question him, it can move the concerned court. The bench said it cannot stay the investigation of a crime and questioning of an accused does not mean coercive step against him. It also observed that arresting a person is a coercive step as when he is taken into custody, his liberty is curtailed and it would hear the parties in length on the issue. The CBI's application was filed in a pending petition filed by the NGO and its secretary in 2017, seeking to strike down certain provision of FCRA claiming that it violated their fundamental rights. The NGO has also sought quashing of the government order entrusting the investigation of the case to the CBI. The CBI said Talwar was the authorised signatory of the NGO during the period when foreign contribution was received and he left India on the night of October 30-31, 2017 and went to Dubai. Notices were issued to him by the agency earlier but he replied that he has been restrained by a Dubai court from leaving the territory of UAE, it said, adding that he was deliberately avoiding to join the investigation. The agency's investigation has revealed that the NGO had entered into an agreement with M/s Airbus, France and M/s MBDA, England, and received Euro nine million and Euro six million respectively during 2012-15 as donation under the CSR scheme. The CBI claimed that the money received from abroad was misused and diverted for the purpose other than it was intended as per the agreement and that Talwar was the key accused in the case, responsible for misuse and diversion of funds received by the NGO from the foreign companies. Currently he is not holding any post in the NGO. Talwar has already filed a habeas corpus (requiring him to be present in hearing) petition in the high court challenging his detention by Indian agencies after his deportation here. A habeas corpus petition is a writ requiring a person under arrest to be brought before a judge or in court, especially to secure his release, unless lawful grounds are shown for his detention. In the money laundering case, the ED has alleged that Talwar had acted as a middleman in negotiations to favour foreign private airlines, causing loss to national carrier Air India.